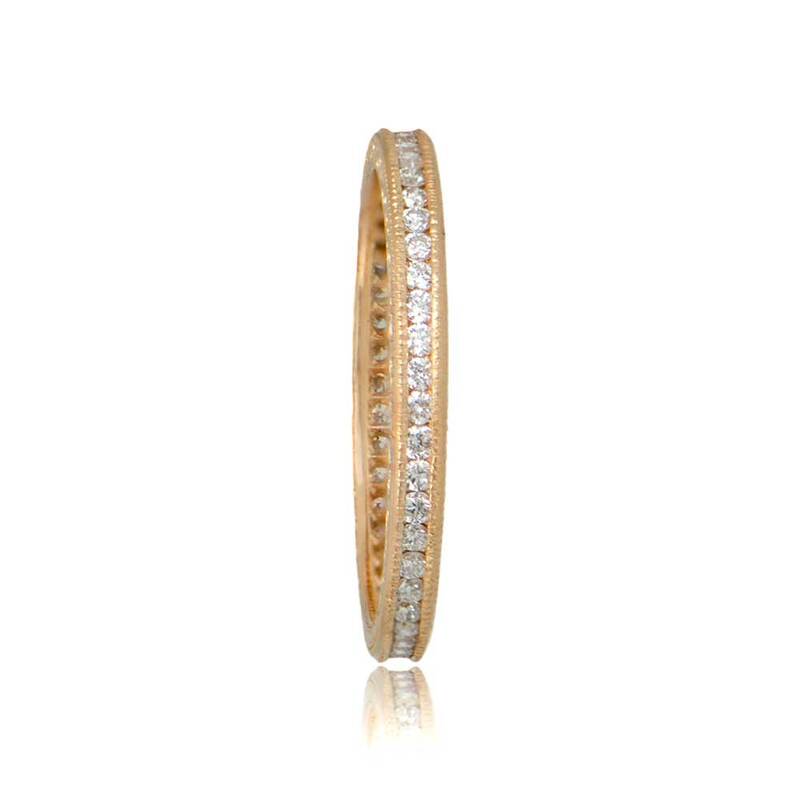 A stunning 18K Gold vintage style wedding band that was inspired by the French Art Deco Era. Beautiful etchings are carved along the sides. The diamonds are channel set. The diamonds are H color and VS2 clarity. 1.8mm wide. 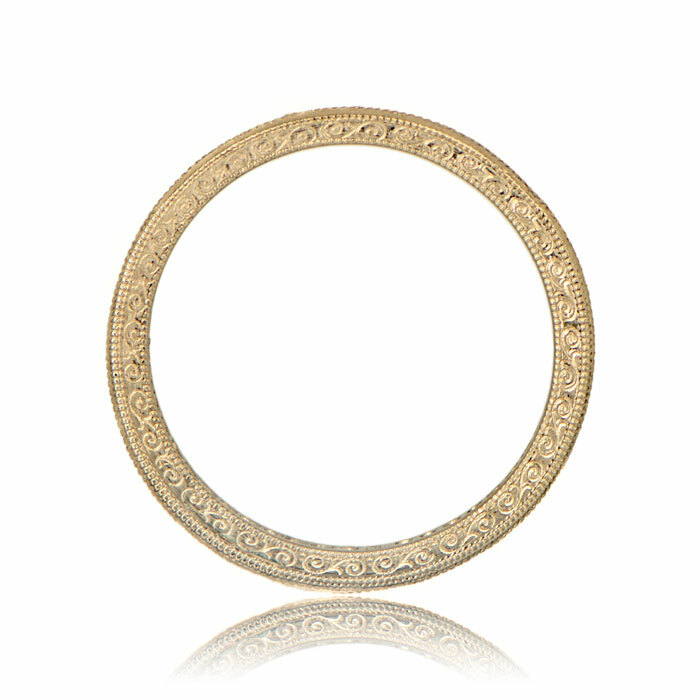 The band is handmade 18K Yellow Gold. 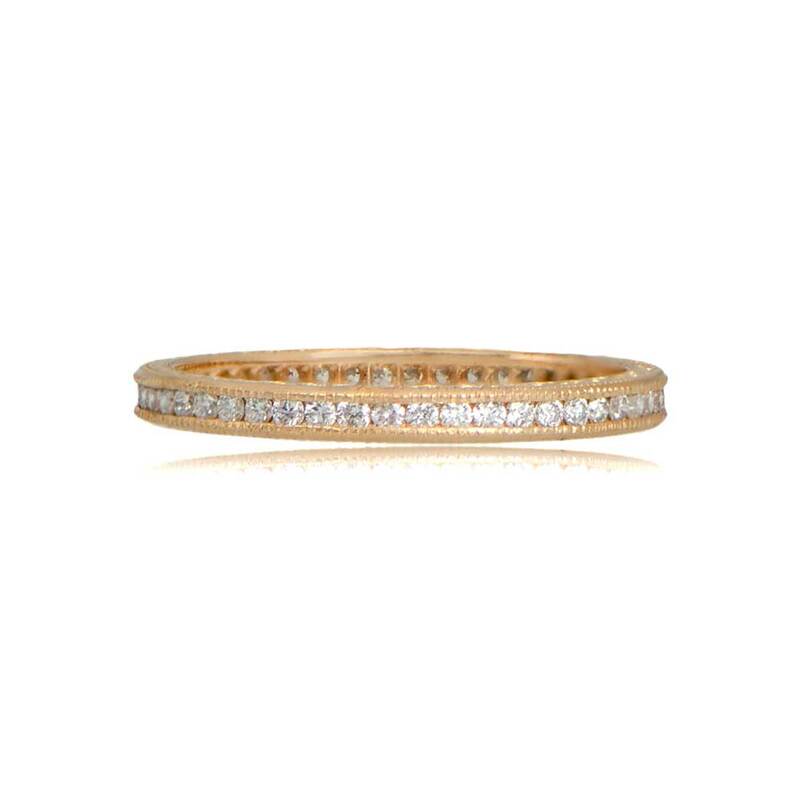 This band is also available in 18K Rose gold and in Platinum. 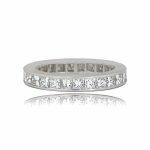 A picture of the ring on a finger is available upon request. 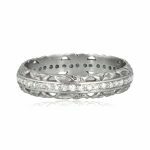 SKU: 11261RG Category: Vintage Wedding Bands - Contact us and request additional pictures.